Mitos menyatakan bahawa pengambilan vitamin B Complex boleh menggemukkan badan. Hakikatnya TIDAK, malahan B Complex boleh membantu anda untuk menurunkan berat badan. Asasnya, B Complex berfungsi umpama spark plug yang membakar sumber tenaga dalam badan anda, iaitu glukos, seterusnya menjadikan anda lebih bertenaga. 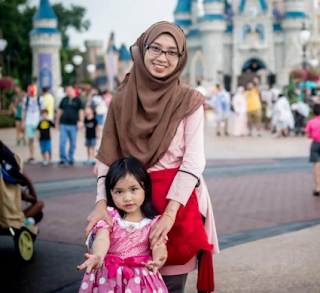 Kerana itu, ia harus diambil selepas makan. Sekiranya anda mengambil B Complex sebelum makan, ada kemungkinan mitos tadi menjadi nyata kerana B Complex mula membakar apa sahaja sumber tenaga yang tinggal dalam tubuh anda. Anda mula menjadi lapar dan selera lebih tinggi. Patuhi panduan pengambilan vitamin untuk kesan optimum. The body’s weight-control or weight-related functions – like appetite, hunger, metabolic rate, metabolism of fats and sugars, calorie-burning, and so on – operate more efficiently with an optimum intake of vitamins. All of them play a part in maintaining optimum health and weight, and many operate together, so it’s not really accurate to single out certain vitamins as being “best” for weight loss. That said, certain vitamins are worth a special mention.The most important vitamins and minerals for weight loss are: Vitamin B2, Vitamin B3, Vitamin B5, Vitamin B6, Choline (part of B-complex), Inositol (part of B-complex), and Vitamin C.
Vitamin B2 is needed for normal thyroid function and metabolism. Good food sources of vitamin B2 include: Milk, liver and kidney, almonds, hard cheese, eggs, wheatgerm, leafy green vegetables, Marmite. Like B2, vitamin B3 is essential for normal thyroid hormone production. Vitamin B3 is also part of the glucose tolerance factor (GTF) which is released every time blood sugar rises. Good food sources of Vitamin B3 include: Wheat bran, liver, tuna, turkey, chicken, meat, eggs, mackerel, salmon, oats, barley, wheatflakes, cheese, dried fruit, brown rice. Any deficiency of Vitamin B5 interferes with our capacity to utilise fat. Vitamin B5 also plays an important role in energy production and assists adrenal function. Good food sources of Vitamin B5 include: liver and kidney, meat, poultry, nuts, wheatflakes, wheat bran, wheatgerm, eggs, molasses, oats, barley, beans, wholegrain bread, green vegetables. Vitamin B6 regulates the production of thyroid hormone and metabolism. Good food sources of Vitamin B6, brewer’s yeast, wheat bran, wheatgerm, oats, sardines, mackerel, poultry, beef, avocado, bananas, brown rice, cabbage, dried fruit, molasses, eggs. A member of the Vitamin B complex, choline is not a real vitamin as it is made in the liver. Choline is needed for efficient fat metabolism. Choline deficiency leads to fats becoming trapped in the liver. Good sources of choline include: lecithin, beef liver, beef heart, egg yolks, wheatgerm, cauliflower, cucumber, peanuts. Like choline, inositol is a member of the vitamin B complex and is also manufactured inside the body. Inositol combines with choline to assist in fat metabolism. Good sources of inositol include: lecithin, beef heart, beef liver, wheatgerm, soy, eggs, citrus fruits, wholegrains, nuts. Vitamin C provides a range of health benefits including proper conversion of glucose to energy in the cells. Good food sources of vitamin C include: blackcurrants, broccoli, green peppers, kiwi fruits, Brussels Sprouts, lemons, oranges, strawberries, cabbage. Jelas, pengambilan vitamin tidak membuatkan anda bertambah gemuk. 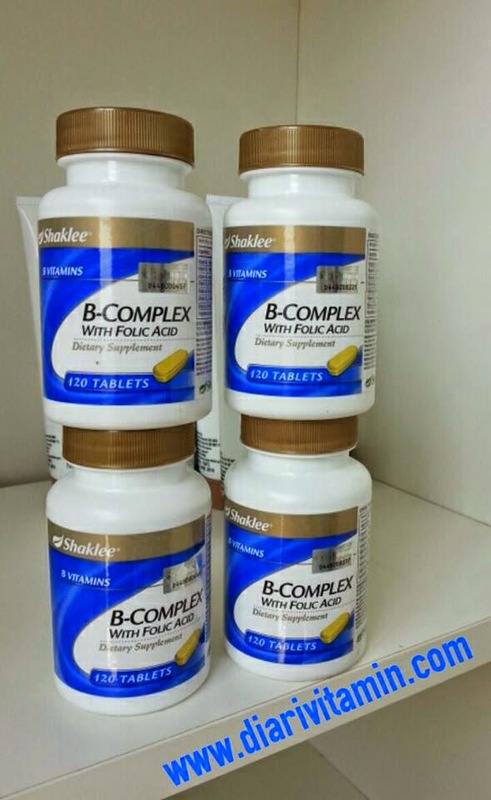 Harga sebotol vitamin B Complex yang mengandungi 120 tablet ini hanyalah RM53.75 sahaja.